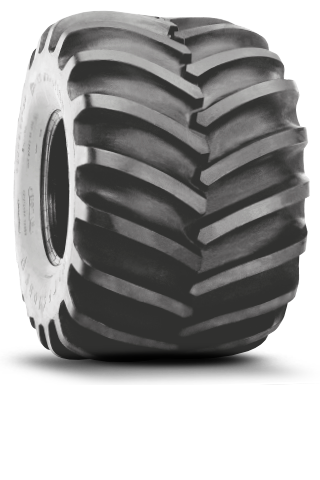 The Flotation 23 Degree Extra Deep Tread Logger Tire provides maximum traction in the toughest conditions and tread bars 1″ deeper than HF-3 Firestone flotation tires. It features a special wide-arc design that protects the sidewall from cuts and snags and a rounded shoulder to minimize ground disturbance. Its four-steel cord belts and 14 ply rating construction provides additional impact and puncture resistance. For pricing and availability, please call (207) 370-8473.